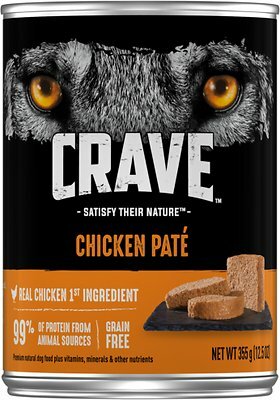 Satisfy your pup’s meat-craving nature with the Crave Chicken Pate Grain-Free Canned Dog Food. The mouth-watering pate recipe is made with real chicken as the first ingredient so it packs plenty of protein to support lean, active muscles, and the meaty flavor dogs love. 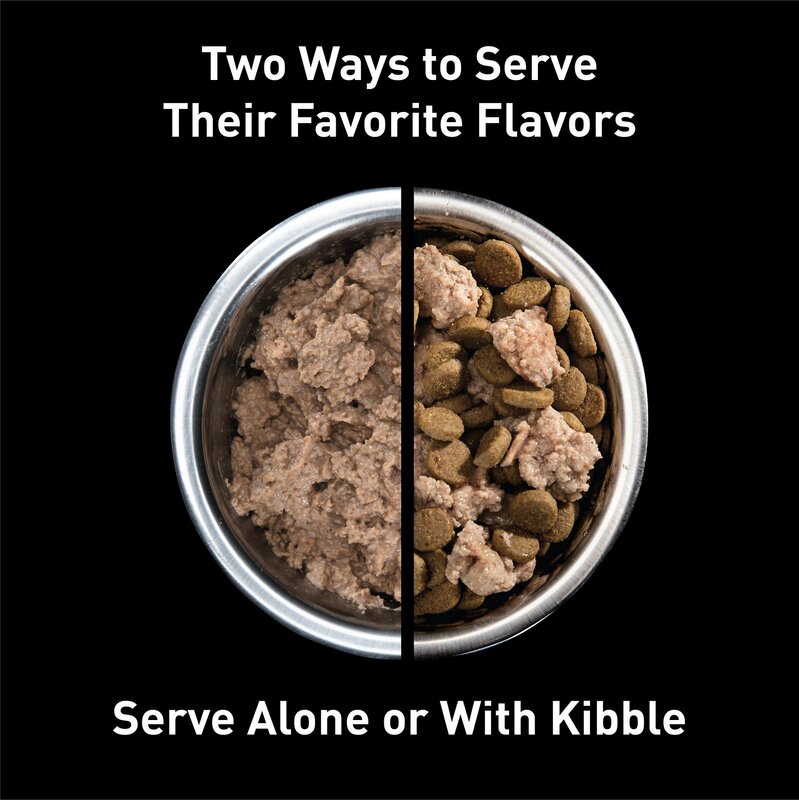 Since every bite is loaded with essential nutrients your pal needs to look and feel his best – like vitamins, minerals, omegas and antioxidants – it’s a balanced and complete diet in every can, on its own or mixed in with kibble. So pop one open and get ready for all that tail wagging and lip-smacking. 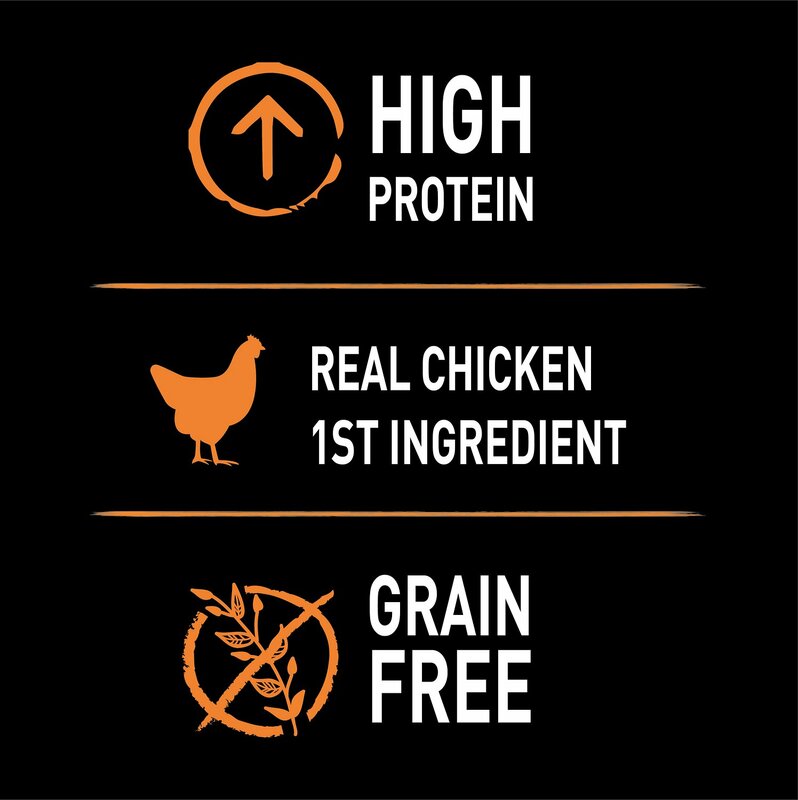 Grain-free wet food recipe is made with chicken as the first ingredient and 99% animal-sourced protein. Protein-packed pate texture and flavor is great for picky eaters, making meals tasty and easy to feed. 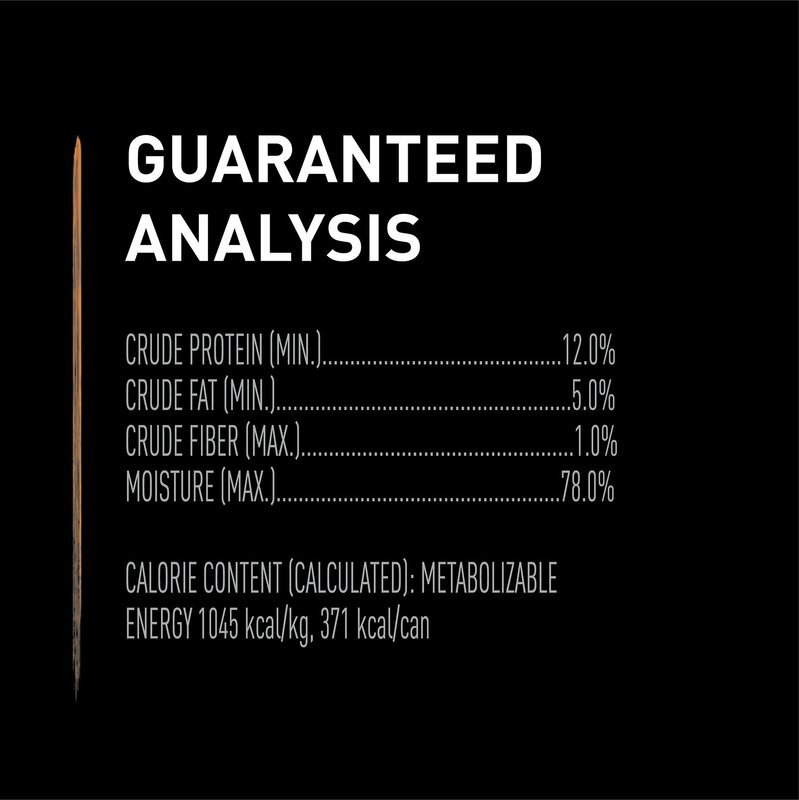 Provides a 100% balanced diet for all dogs, and can be served on its own or as a kibble topper or mix-in, right out of the can. 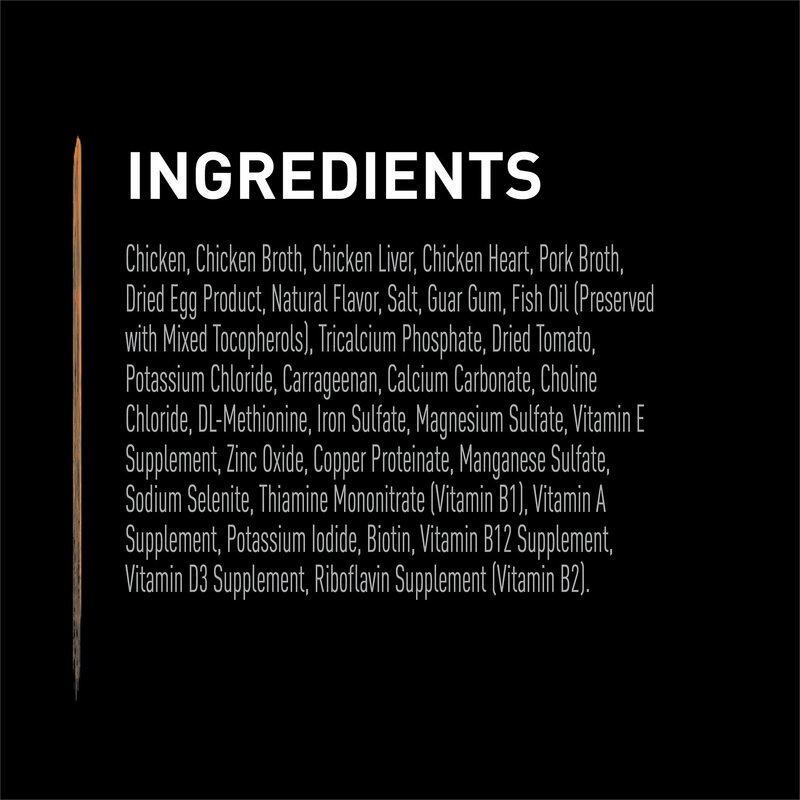 Chicken, Chicken Broth, Chicken Liver, Chicken Heart, Pork Broth, Dried Egg Product, Natural Flavor, Salt, Guar Gum, Fish Oil (Preserved With Mixed Tocopherols), Tricalcium Phosphate, Dried Tomato, Potassium Chloride, Carrageenan, Calcium Carbonate, Choline Chloride, Dl-Methionine, Iron Sulfate, Magnesium Sulfate, Vitamin E Supplement, Zinc Oxide, Copper Proteinate, Manganese Sulfate, Sodium Selenite, Thiamine Mononitrate (Vitamin B1), Vitamin A Supplement, Potassium Iodide, Biotin, Vitamin B12 Supplement, Vitamin D3 Supplement, Riboflavin Supplement (Vitamin B2). 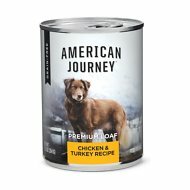 Feed up to 1/2 - 2/3 cans daily for every 10 pounds of your dog's body weight. Picky Eaters and Sensitive Stomachs Rejoice! I have one dog with a sensitive stomach and one dog who is a picky eater. 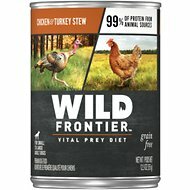 Used to buy a sensitive stomach formula from another company for the one and tried company after company to find a canned food that my picky eater would eat. Found Crave - all flavors - my picky eater loves them all. Tried my sensitive stomach dog on it hoping it would work for him so I could order just 1 food. It works fors him too! So great for picky eaters and sensitive stomachs - both - all flavors! Our dogs are big - 100 + lbs. 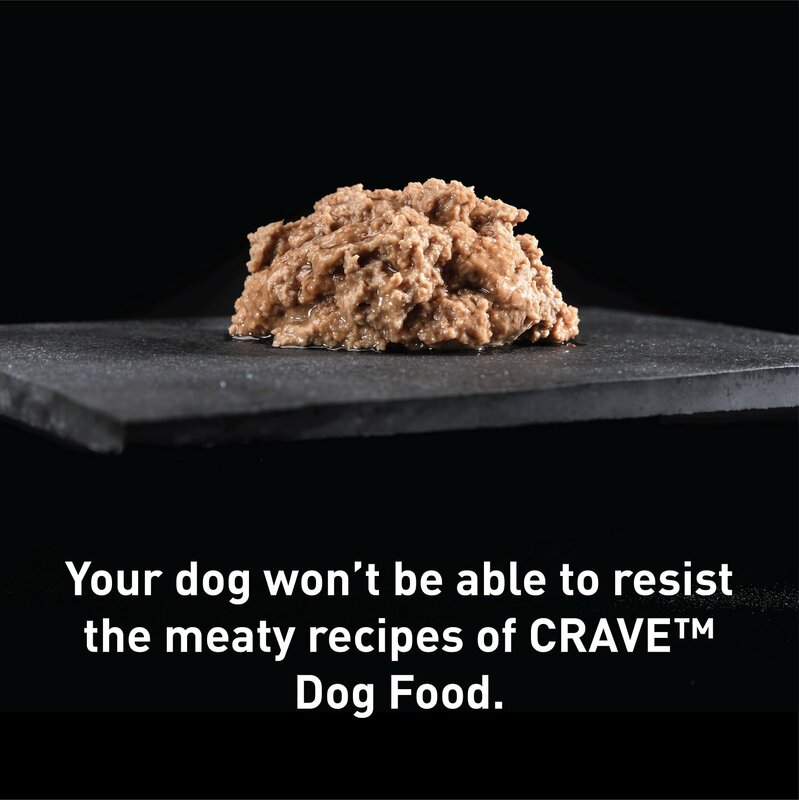 We just tried this canned Crave dog food 2 months ago and we can't believe how our dogs gobble down their dinners now. They always used to leave at least 1/3 of their dinners un-eaten. They are even "peppier" than I've seen them in 2 years. And I'm so glad it's healthy for them too...very healthy. My dogs love this stuff!! I have 2 Labs and a Golden. Several years ago after doing some research I decided to give my dogs food grade diatomaceous earth for wormer. And this is a great loaf style for mixing, and my dogs really love this stuff!! We bought from Chewy because PetSmart has stopped selling this item. It is a little more pricey from Chewy. My Chihuahua is very picky since her teeth cleaning. Been buying the fresh stuff, but this product does not upset her stomach and she eats it. We had been feeding our dogs Merricks canned food for years until I read a review recently that showed it did not contain ingredients that are as top shelf as they say, and it wasn't worth the exorbitant cost! I found Crave at a local store, bought it, and our dogs loved it! Small problem is I was having problems finding it at the stores, so I decided to order from Chewy, and I am so very glad I did! Great prices, super fast shipping and the convenience of auto shipping each month! We are very happy customers!! I chose because of ingredients (was looking for liver, hearts and primary meat) and reasonable price. We mix with dry premium food and dog has taken well to it so far. My dog Barney gives your service Five Barks. Barney is a very fussy eater but he craves the Crave brand Chicken Pate. And I as his owner especially love the really quick service that you provide in getting your products to us. My dog loves it. 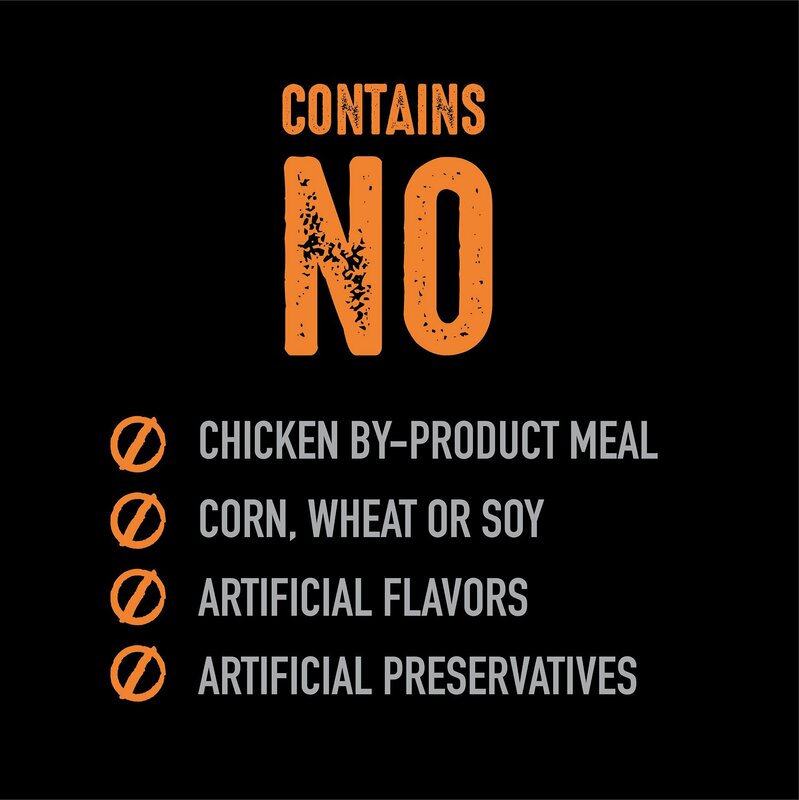 No issues -used in additional to her regular food.